Plots currently at GS<30; expect to spray T0 in 7-10 days. Yellow rust spreading (see below), also plenty of Septoria in plots. 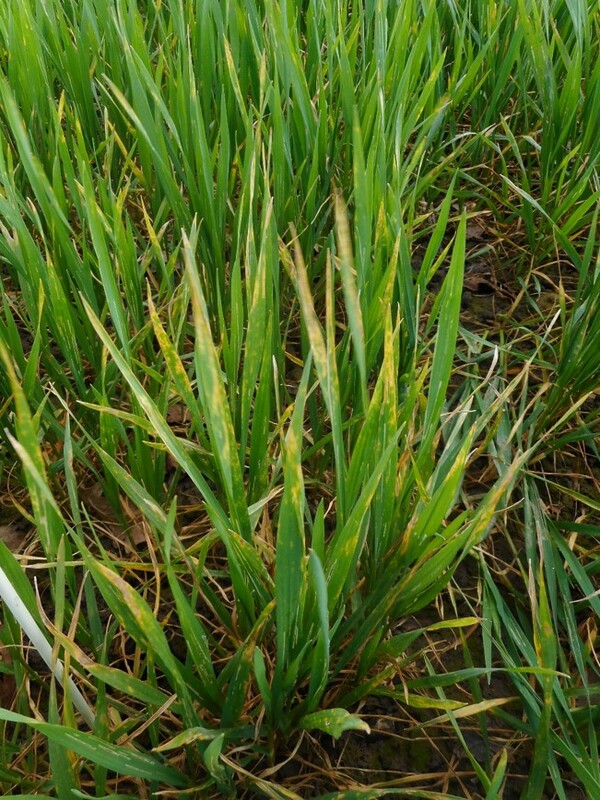 Net Blotch and trace of Brown Rust in Winter Barley. 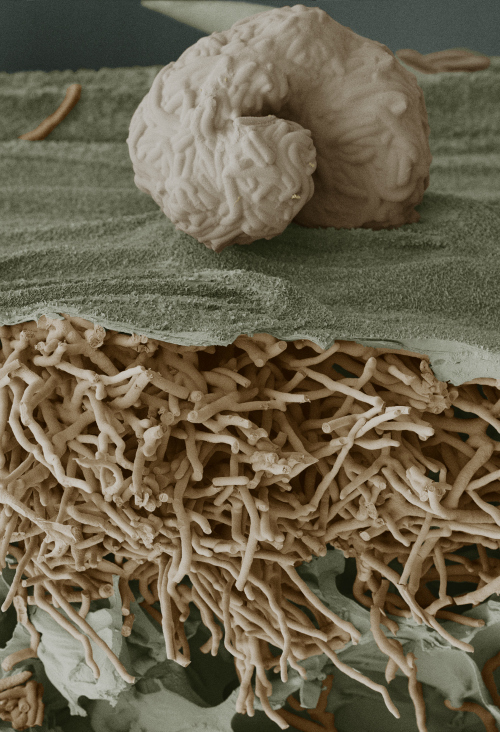 Net Blotch caused by splash-borne spores is characterised by short brown stripes or blotches with a network of darker lines at random on the leaves. The disease tends to produce 'stripe' symptoms or 'netting' symptoms which are distinctly different in appearance. 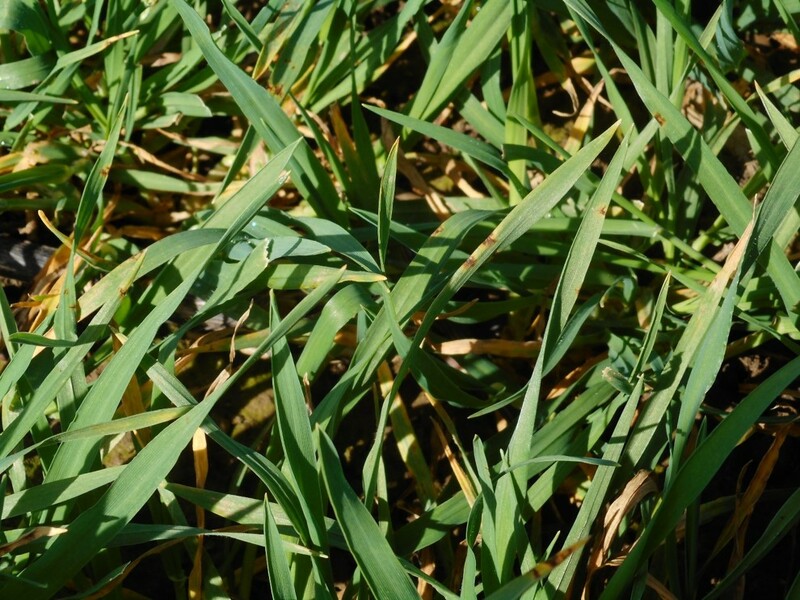 A T0 could be particularly important since lower leaves in barley contribute more to yield than in winter wheat, so there is a need to keep disease out from an early stage. With the vigorous canopy growth and high yield potential of hybrid barley, keeping its lower leaves clean can be especially useful. A T0 of KAYAK (cyprodinil) will be applied against Net Blotch and Rhynchosporium, and it will be tank-mixed with fenpropimorph where rust and / or mildew can be found. Importantly, these fungicides utilise different chemistry to SDHIs, triazoles and strobilurins that may be used later in the season, which is useful for resistance management.